What if some of the most haunting symbolism of the twentieth century was the invention of a shadowy figure who pirated innocuous images from a famous church in order to construct the mythos of a secret society? On a recent trip to Paris, France, I discovered that this supposition just might be true, and could help explain the origins of the infamous Priory of Sion. Despite some rather weighty evidence to the contrary, belief in the Priory of Sion remains inexplicably stout. 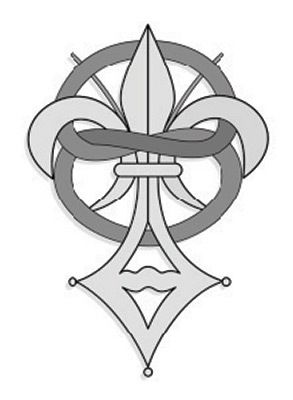 The notion that the Priory of Sion is a secret, members-only club which has propagated and protected the holy bloodline of Jesus Christ and Mary Magdalene for nearly two thousand years remains a popular topic in esoteric discussion forums. The smart money has always been on the belief that the Priory of Sion was the invention of Pierre Plantard, an ambitious Frenchman who cobbled the essence of the story together in 1956. Although Plantard had political aspirations, there is always the possibility that it all came down to his personal amusement. The truth is, his motivation probably included both. Plantard claimed to be the Grand Master of the Priory of Sion, before recanting it all under oath. Funny how the threat of prison will do that to a man. Thus, believers insist that he had to lie in order to protect the integrity of the order, and that the Priory of Sion is an ancient society that grew out of L’Ordre de Sion (The Order of Sion), as founded in 1090 by Godefroy de Bouillon (the medieval Frankish knight who was one of the leaders of the First Crusade), and that it has been fronted by an illustrious list of Grand Masters: thought leaders such as Nicolas Flamel, Leonardo da Vinci, Isaac Newton, Charles Radclyffe, Claude Debussy, Jean Cocteau, and hordes of others. Clearly, these are accomplished individuals of great renown. However, it remains to be seen if any was the grand master of anything other than his own discipline. Given the character of those who claim to hold the position of Grand Master today (men of absolutely no notoriety or accomplishment – individuals who live in shadows and who have never contributed to society in any discernable way), it is hard to believe they are part of the impressive list of thought leaders who challenged the religious, scientific and artistic dogma of their day. In fact, it strongly suggests that the entire tradition is dubious at best. The men who claim to hold the office of Grand Master today appear to suffer from delusions of grandeur. If the Priory of Sion were real, should not its recent Grand Masters include the likes of Stephen Hawking, and not Gino Sandri and Nicolas Haywood? Who? That is exactly my point. Actually, the same goes for Pierre Plantard. Alas, I have drifted from my thesis. It is not my desire to conduct character assassinations or disparage people with ambition, as delusional as it may be. Nevertheless, let me be clear: I believe the Priory of Sion, as recounted by Plantard, is a modern-day creation which has artificially manipulated its charter, and history, and to that end I will attempt to show that its evocative symbolism is not ancient, and that it came from one place, Saint Sulpice church in Paris, France. So, who was the person who drew upon the symbolism of Saint Sulpice and incorporated it into the Priory of Sion? The answer will not surprise enthusiasts of the subject one bit. However, I will refrain from revealing their name a little longer. 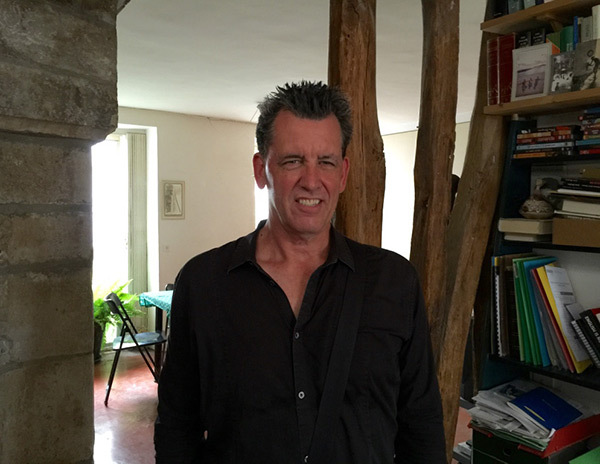 In the summer of 2015 I travelled to Paris to present in Inside Secret Societies, a documentary series for the American Heroes Channel (AHC). 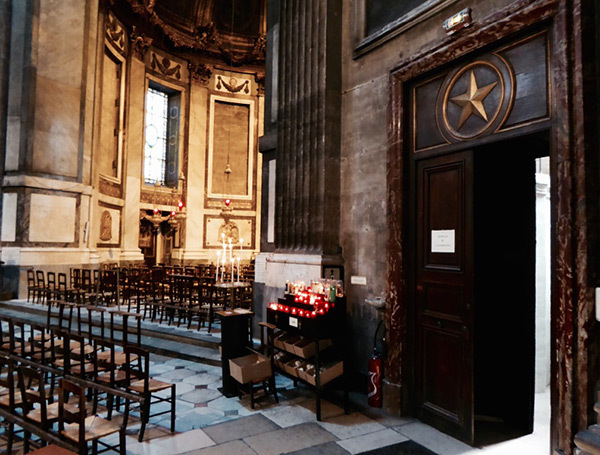 For one of the episodes the director chose Saint Sulpice as the backdrop to the story, and what a perfect location it proved to be. I had been to Saint Sulpice several times before. However, on this occasion, as we made our way around the church, scouting for suitable places to film, I was struck by how the church’s remarkable imagery seemed to have much in common with the symbolism of the Priory of Sion. As I did my pieces to camera, I contemplated the possibility that the evocative features of Saint Sulpice may have inspired the peculiar symbolism of the Priory of Sion. ‘What if the genesis of the whole legendary society was right here, in Saint Sulpice?’ I wondered. 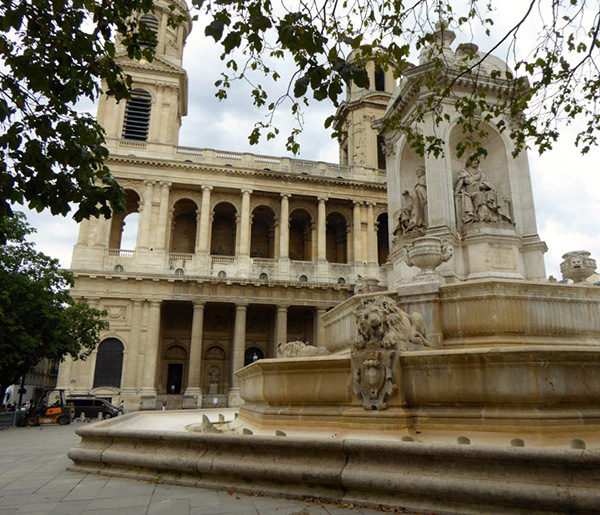 When you visit Saint Sulpice you are actually touring the second edifice on the site, one that has been erected over a Romanesque church which was originally constructed during the thirteenth century. This exquisite house of worship is dedicated to Sulpitius the Pious; Saint Sulpice or, as he was known, ‘le Débonnaire’, a seventh-century bishop of Bourges, France. 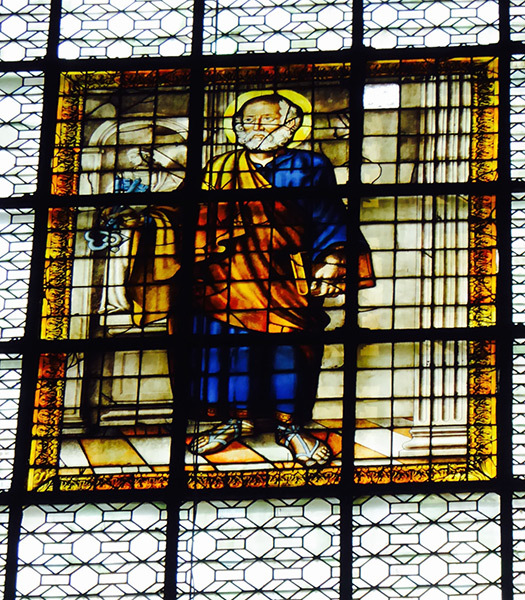 Saint Sulpice died on 17 January 646, and thus his feast day is 17 January. This brings us to the first tenet of the Priory of Sion that appears to have been inspired by the church: the Feast Day of Saint Sulpice. It is telling that 17 January is featured in the cathedral of Saint Sulpice, for the written correspondences of the Priory of Sion (more often than not) are written on this date, or at least include the date on their letterhead. No explanation has been provided for this letterhead standard, and the symbolism of 17 January appears to have grown over the years to encompass yet another mystery. 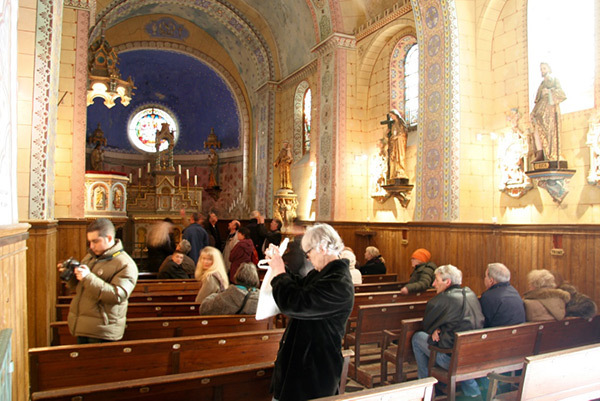 The priest, Bérenger Saunière, is said to have discovered an heretical truth, relic or patriarchal tomb, and/or body, in his parish church in Rennes-le-Château (or thereabouts) in southern France in late 1891. In the context of Rennes-le-Château, the mythology of 17 January includes some rather curious accounts from history: the son of the Merovinginian King Dagobert II, Sigisbert VI, is said to have visited Rennes-le-Château on 17 January (681); and the lost body of Dagobert II was supposedly rediscovered on 17 January (872). Even Bérenger Saunière is said to have been struck down on 17 January (1917) before dying five days later. 17 January is also referenced in the document, Le Serpent Rouge (The Red Serpent) – one of many documents now recognised as having been penned by the Priory of Sion – which mysteriously appeared in the Bibliothèque Nationale de France (the National Library of France) in Paris, allegedly on 17 January 1967, which is rather late, given that most of the Priory documents were deposited there during the late 1950s and early 1960s. Le Serpent Rouge is broken down into twelve lucid passages, one for each sign of the zodiac, and in the ‘Capricorn’ passage it states: ‘I haven’t told you in fact that this was a dream that I’d had this 17 JANUARY, feast day of Saint SULPICE’ (translation by Marcus Williamson and Corella Hughes). Again, attention is called to this specific date, and place of worship. 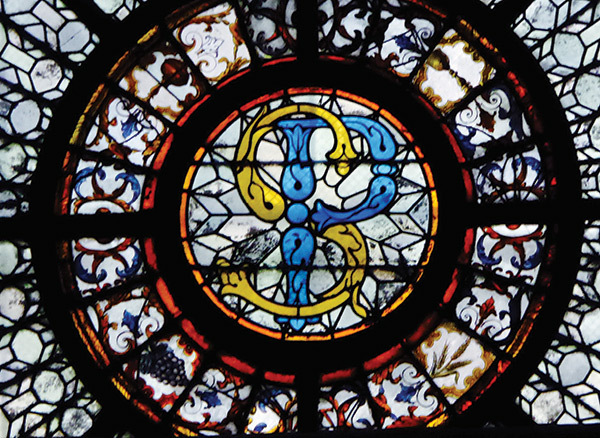 We should not forget that one of the favourite claims of pseudo-historians is that the letters P and S, as depicted in a prominent window in Saint Sulpice, stand for Priory of Sion. 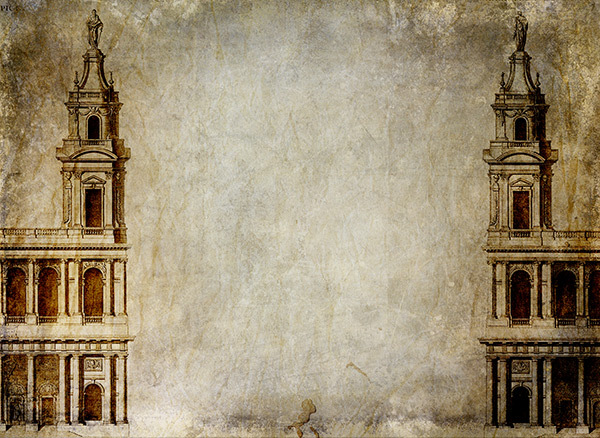 The truth is, however, that it is all about the patron saints of the church, who were Saint Peter and Saint Sulpice. The PS in the window at Saint Sulpice has often been mistaken for referring to the Priory of Sion, but what an inspiration it must have been to the man who borrowed those letters to coin the phrase ‘Priory of Sion’. 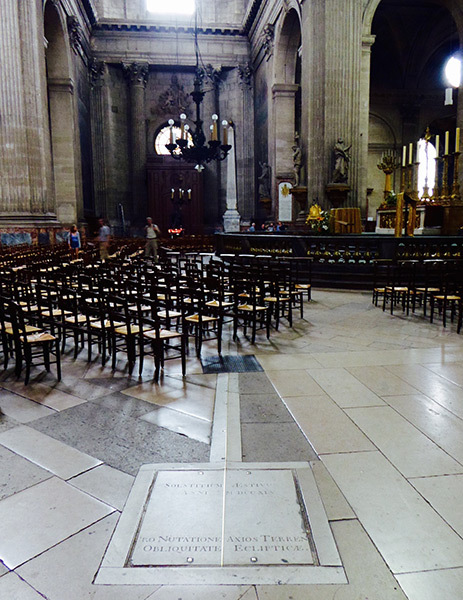 And that inspiration, I propose, occurred here, in Saint Sulpice. Real or imagined, the association of 17 January and the letters ‘PS’ with the Priory of Sion and the mystery of Rennes-le-Château had gone unnoticed until the second half of the last century. Not surprisingly, this is because it was not until the middle of the last century that the Priory of Sion was created. Yet, there is another element of symbolism that makes the association between Saint Sulpice and the Priory of Sion even stronger. I speak of the gnomon of Saint Sulpice. 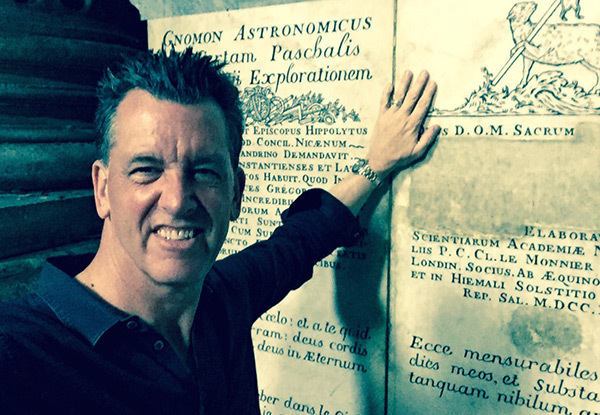 The gnomon of Saint Sulpice is an astronomical measurement device that projects a shadow onto the church floor in order to predict the advent of meaningful moments in time, events ranging from when to ring the church bells to the coming of Easter, and other important days of observance. 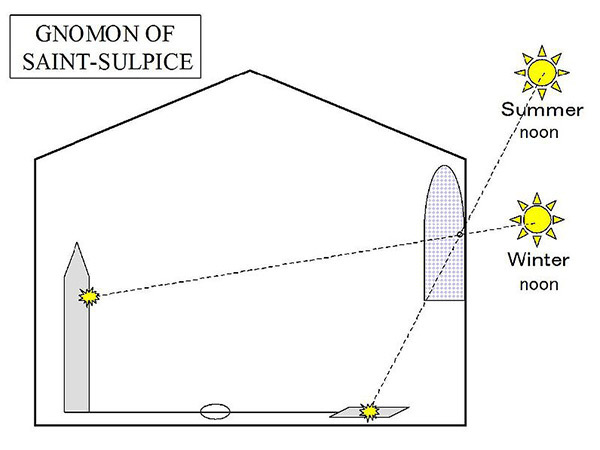 When we examine how the gnomon works we are reminded of another tenet of the Priory of Sion: the way in which sunlight passes through a small, round opening in the stained-glass window of the south transept, twenty-five metres high, projecting a light onto the floor that will cross the meridian each time the sun reaches its zenith at noon. Rennes-le-Château enthusiasts will see where I am headed, as one of the myths of that mystery is something called ‘blue apples at noon’. 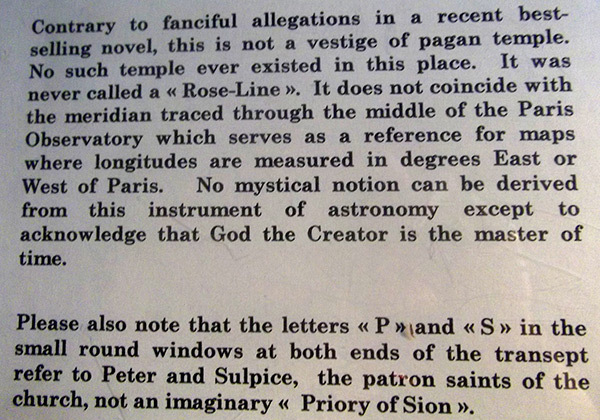 Specifically, the reference comes from the decoding of the last line of Parchment One, another document that has clearly been forged by members of the Priory of Sion ‘rat pack’, a group which consisted of Pierre Plantard (its alleged last confirmed Grand Master), Gérard de Sède (a famous French author and friend of Plantard who first featured the parchment(s) in his book, The Gold of Rennes), Philip de Chérisey (a French actor and entertainer and the self-confessed creator of the Rennes-le-Château parchments) and, as sacrilegious as it may appear, Henry Lincoln (born Henry Soskin, 1930), the English actor and bestselling author (including co-author of the genre-breaking The Holy Blood and the Holy Grail) who contacted de Sède after supposedly ‘discovering’ hidden messages in the parchments featured in de Sède’s book. Astonishingly, de Sède claims never to have seen the originals. Whether Lincoln was a contributor to the con, a supporting ally or an innocent pawn remains to be determined, but his involvement needs to be treated with suspicion, regardless of his fan base and exalted status. 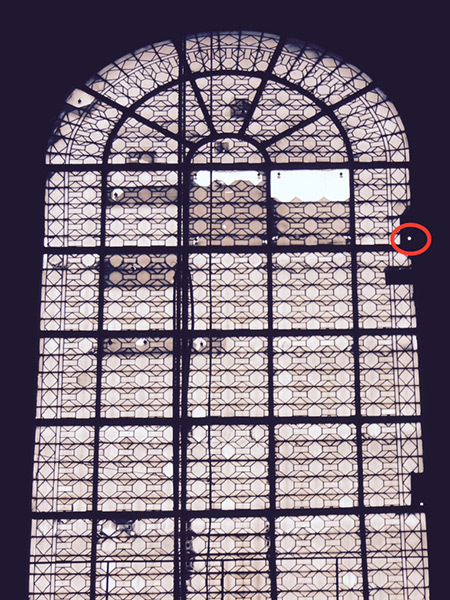 The prevailing belief is that what is being referred to by ‘blue apples’ is the light anomaly which occurs on 17 January in the Church of Saint Mary Magdalene in Rennes-le-Château, when the sun shines through the stained-glass windows and creates what appears to be blue orbs – interpreted as apples – on the wall and floor of the church, at midday (according to the decoded parchment). The truth is that this happens at different times every day, and in places of worship all over the world. But then what’s a good legend between friends? The point is this: not only does the manner in which the gnomon functions illustrate the effect of the sun’s rays passing through a window onto the floor, it also references midday, just like Le Serpent Rouge. The gnomon of Saint Sulpice, which was constructed in around 1729, is not located on the Paris meridian, as Dan Brown would have us believe (see The Da Vinci Code, where he refers to the Paris Meridian as the Rose Line), but rather a few hundred metres away. Nevertheless, the gnomon focusses the mind on date lines, and creates the illusion that it and the Paris Meridian are one and the same. The Paris Meridian is the real or imagined line on the ground that represents the Zero Meridian, now in Greenwich, England, but which was previously located in Paris, and which, when visually extended across France, was believed to bisect various sacred sites, including Rennes-le-Château (or thereabouts). When extended across France, the Paris Meridian not only passes a short distance from Rennes-le-Château, but it also bisects a site at Les Pontils, where many believe the now-legendary tomb featured in Nicolas Poussin’s Shepherds of Arcadia was located. This is relevant to our hypothesis because, according to Gérard de Sède, Saunière travelled to Paris in 1892, seeking assistance with the translation of the parchments he had discovered while renovating his church in Rennes-le-Château. Where did he go? Why, Saint Sulpice of course, where the young priest, Emile Hoffet, supposedly assisted him with decoding the complex old parchments. Saunière is said to have returned to Rennes-le-Château with copies of three paintings from the Louvre Museum, including Shepherds of Arcadia by Nicolas Poussin. Although the Louvre did not sell reproductions at that time, and there are no records of Saunière’s visit, the association of Saint Sulpice with Rennes-le-Château and Poussin (albeit via a manuscript supposedly written by Plantard and reworked by the bestselling French author, de Sède) had been made. The story becomes even murkier, however, when Lincoln, an aspiring English actor, who had already done considerable work with French acting ensembles (and who conveniently speaks perfect French), read the book whilst on holiday in France and contacted the author (de Sède), boasting of his discovery of a demonstrable code in the book’s reproductions of the ancient parchments which Bérenger Saunière is said to have discovered in his church in 1891, and which de Cherisey would later admit to having created and forged himself. Later, de Sède informed Lincoln as to the existence of the ‘Poussin tomb’, as it is known, and its significance. Not long after that de Sède punched Lincoln in the face in Rennes-le-Château, in an act that has never been suitably explained, but could very well have been due to their covert relationship. Much nonsense ensues, including Lincoln photographing a rock at a place called La Fontaine des Amours (Lovers’ Fountain), just outside Rennes-les-Bains (a village near Rennes-le-Château), which he supposedly stumbled upon while hurriedly looking for another destination. The now-infamous rock contained a heart with an arrow through it and the inscription ‘Calvet 1891’. The whole thing is intended to imply that the French opera star, Emma Calvé, and Saunière were lovers, thus giving credence to the fact that Saunière had travelled to Paris, where Calvé worked, in 1891. Suspiciously, the rock had gone missing the very next day after it was photographed – most probably due to the realisation that the plaster it was created with would be all too easily identifiable as modern, if inspected by a discerning eye. It all seems convoluted and more than a little coincidental – too neat and tidy. One begins to smell not just a rat, but an entire rat pack. Is it any surprise that Lincoln’s motto to this day remains ‘don’t believe a word of it’. Lastly, with respect to meridians, rose lines and date lines, it should come as no surprise that Le Serpent Rouge also references a meridian – twice, in fact: the first time in ‘Gemini’, ‘ . . . look for the line of the meridian . . . in going from the south to the north, finally in all directions to obtain the desired solution . . . ’; and the second time in ‘Scorpio’, ‘ . . . Signol around the Meridian line, to the choir itself from the sanctuary from which beams this source of love . . . ’ (translations by Marcus Williamson and Corella Hughes). Coincidence or creative inspiration? It would appear that the person who wrote Le Serpent Rouge also knew his or her way around Saint Sulpice. Another tenet of the Priory of Sion that may have been inspired by Saint Sulpice is one which (like 17 January) appears on the Priory of Sion letterhead and on the famous parchments allegedly discovered by Saunière – a drawing of an octopus. An exquisitely carved octopus appears on the holy water stoup in Saint Sulpice and is immediately evident upon entering the church. 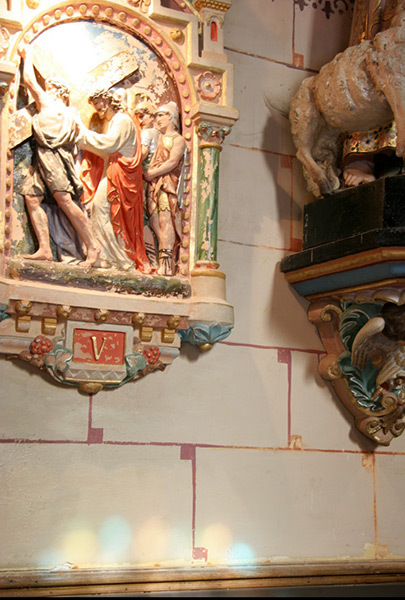 The spectacular stoup was carved by the French sculptor, Jean-Baptiste Pigalle (1714–1785) and is one of the more memorable images in the church. Serendipitously, a wonderful pun exists in the fact that octopus baked in parchment is a French culinary delicacy. The octopus most prominently comes into view on the bottom of the tombstone of Marie de Nègre d’Ables, a noble who supposedly passed a great secret to Abbé Bigou (1719–1794), the then priest of Rennes-le-Château, just before her death on 17 January 1781. It is said that Bigou designed her tombstone, based on what she had confided in him, and included the octopus in its design. 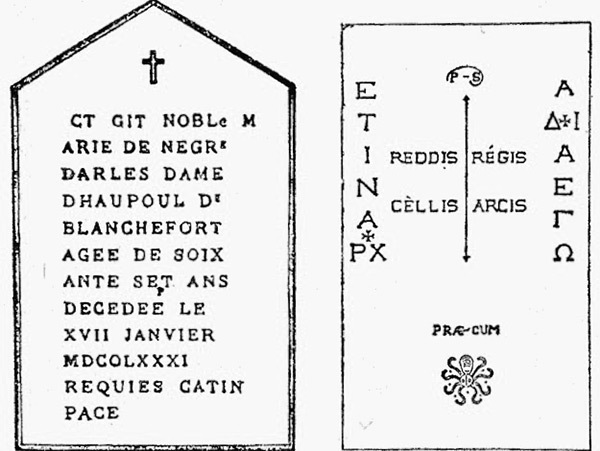 However, in typical Rennes-le-Château fashion, the complete tombstone no longer exists; that is, the only detailed record of the vertical headstone of the noble is a sketch in the Aude Society for Scientific Studies proceedings of 1905. Confusingly, Saunière is said to have defaced the headstone in 1895, after digging in the cemetery in the vicinity of the noble’s grave for several nights. How could this be? Well, it is easily explained when you realise that the whole convoluted story was made up, and attention to details such as these was probably not deemed important at the time. So, why fabricate what may have appeared on the vertical headstone, remnants of which have been preserved in the Rennes-le-Château museum? The answer is that the Priory of Sion rat pack included raised and offset letters on the vertical portion of her tombstone, so that it would reveal the key MORT EPEE, which was necessary for decoding Parchment One. Additionally, there is no historical account of the noble’s horizontal tombstone and (surprise, surprise) de Sède was the first to ever refer to it; he said that a picture of it is recorded in the book, Engraved Stones of the Languedoc by Eugène Stüblein, but no copies of the book have ever been discovered. Further, the Aude Society for Scientific Studies, who visited Rennes-le-Château at least twice, never mentioned it, thus shedding considerable doubt upon its existence. But there was a method behind their madness: the horizontal tombstone message is important, because it contains the longer, second key (PS PRAECUM) required for decoding Parchment One. It also lists two vertical rows of Greek characters that translate to: ET IN ARCADIA EGO (Even I, Death, am in Arcady). This same expression is found in Nicolas Poussin’s Shepherds of Arcadia painting, further weaving the fairytale into knots and pointless dead ends. 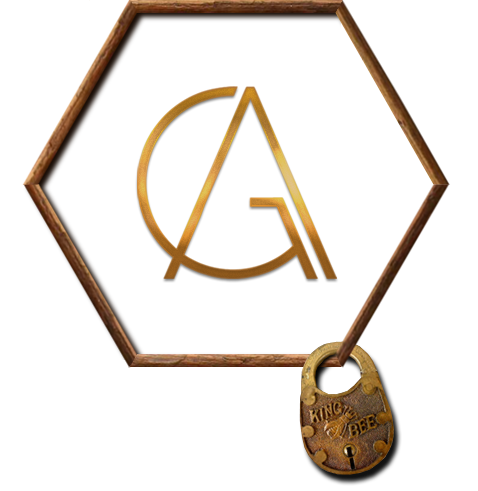 In fact, the fully decoded tombstone also contains: ‘Jesus, King of Rhedae, hidden in Arques’, thus entangling two more elements of the mystery: the mystical city of Rhedae; and Arques, a village near Rennes-le-Château. There are more rabbit holes in this story than in all of the Forest of Dean and the Scottish Highlands combined. 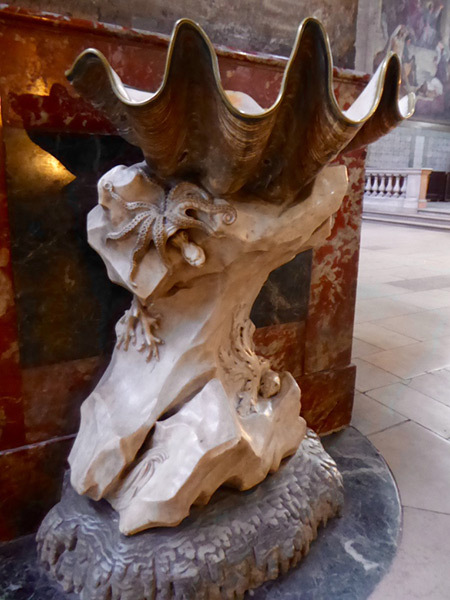 The short version of all this is that the octopus appears to have been incorporated into the whole mythos by the Priory of Sion rat pack, having been inspired by the holy water stoup that greets the congregants of Saint Sulpice. Another image prevalent in Saint Sulpice, and which is found in abundance in Rennes-le-Château/Priory of Sion mythology, is the pentagram. The church is full of pentagrams, and when I consulted a local historian who was commissioned by the Discovery Channel, I learned that the symbol represents the Virgin Mary, to whom Saint Sulpice is also dedicated, and not Mary Magdalene, with whom the image is commonly associated. Predictably, the pentagram is featured heavily in the story of Rennes-le-Château, but only in the guise of Mary Magdalene. It also occurs in Nicolas Poussin’s Shepherds of Arcadia, according to experts, and in a natural pentagram that Henry Lincoln discovered in the mountainous landscape around Rennes-le-Château. Really, you couldn’t make it up. Or could you? The filmed interview proceeds slowly and, at last, my chance comes. 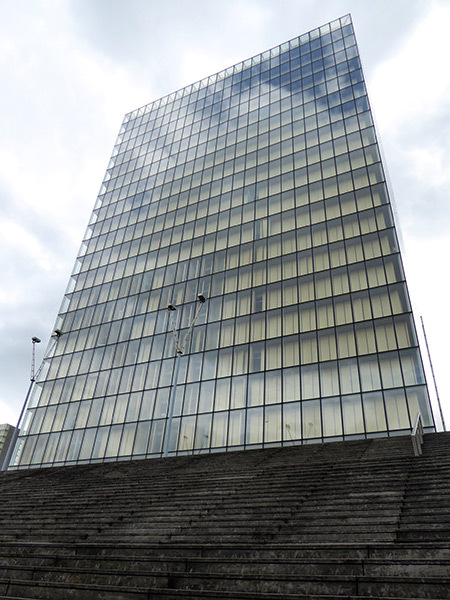 When I ask him about ‘the secret of Rennes-le-Château’, he replies that the secret is ‘not only at Rennes-le-Château – it is also around Rennes-le-Château’. Here is my opening. I ask him about the geometry I have found and what significance he sees in the stressing of the pentacle. For the first time in his fluent and well-expressed responses, he hesitates. The pause lengthens. One corner of his mouth curls in the beginnings of an uncertain grin. ‘I . . . ’ he says and pauses again. Then, with a small shrug, he says all that he is prepared to say: ‘I cannot give you a reply on this subject.’ ‘Cannot? Or will not?’ I wonder. He seems suddenly uncomfortable, even shifty. My unexpected question has produced a more fascinating – and real – reaction even than I have hoped. As part of Secrets of the Underground I had the pleasure of visiting the Parisian flat where the legendary interview took place. The flat is still owned by none other than Jean-Luc Chaumeil, the journalist who became embroiled in the whole affair, and who knew the players in the story probably better than anyone else alive. I reflected on the now-infamous meeting. It was a nice moment, and I could almost feel the residual excitement that undoubtedly permeated from Lincoln on that day, all those years ago. Again, regardless of whether we are talking Mary Magdalene or the Virgin Mary, the fact remains that the pentagram is a dominant symbol in Saint Sulpice, Rennes-le-Château and the Priory of Sion. After walking around Saint Sulpice, doing pieces to camera about the Priory of Sion and Rennes-le-Château (and how they are related), the penny had dropped; the imagery of the church inspired the core tenets of the modern and entirely fictitious society known as the Priory of Sion. But who, exactly, did they inspire? The reality is that Plantard, de Chéresy, de Sède, and even Lincoln, are suspicious in one way or another, and appear to work in collusion. However, it does not take a super-sleuth to conclude that the culprit who manipulated the symbolism in Saint Sulpice was Philippe de Chérisey. De Chérisey was a French writer, radio humorist, surrealist and actor (like Lincoln), who operated a radio programme specialising in spoofing its listeners with outrageous tales. Clearly, this was his pièce de résistance. What is more, he lived in Paris, in the immediate vicinity of Saint Sulpice, where he had connections, and access, to a document called the Codex Bezae, a handwritten copy of the New Testament dating from the fifth century, written one column per page and containing 406 extant parchment leaves. The Codex Bezae was contained in the Dictionnaire de la Bible (1912) by Fulcran Grégoire Vigouroux, who was a member of the Society of Saint-Sulpice. The original Codex Bezae is held in the Cambridge University Library, England. P.S. Do you know that the famous manuscripts supposedly discovered by the Abbé Saunière were composed in 1965? And that I took responsibility for being the author? Still, there are those who believe the parchments are real. Who was it that said no amount of evidence will stop the believers from believing? While I may not have told you anything new in terms of the Priory of Sion being a modern-day hoax, and that almost everyone associated with the genesis of the Rennes-le-Château/Priory of Sion mythology is guilty of creating or misrepresenting various aspects of the story, we now have a good idea that the idiosyncratic symbols of the Priory of Sion, and not just the parchments and documents, may also have been inspired by de Chérisey, a clever man who was paying attention to detail on his many visits to Saint Sulpice.